Believe it or not, your financial planner’s track record isn’t as important as their financial philosophy. This is because your financial planner’s main job is to help you gain a sense of control over your financial future, not pick the next hot stocks. There are no quick tricks –financial planning is a process that takes time, especially if you just received an inheritance. 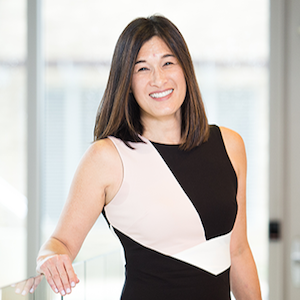 Marguerita Cheng, CFP® and CEO of Blue Ocean Global Wealth, describes what it takes to be a successful financial planner… and a good financial planning client. She stresses the importance of sharing information with your financial professionals, and why it’s necessary to fully understand your current situation before you create a plan. She explores why people tend to shy away from financial planning and how she encourages clients to change their thinking to be more positive. Listen to learn the questions investors should ask a new advisor. Will tax loss harvesting give you extra money? Doug offers a free checklist for investors who want to do some year-end housekeeping in their accounts. Tax loss harvesting may be a way to lower your taxes. Consult with a qualified tax professional before implementing anything on this list. Follow Marguerita Cheng on LinkedIn and Twitter, or on corporate website, Blue Ocean Global Wealth. 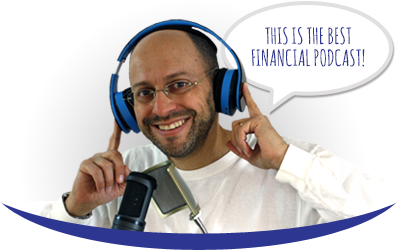 Watch What’s the First Question You Should Ask Your Financial Planner on YouTube. Marguerita Cheng is a CFP® who enjoys teaching people about money. She talks about what you should do when you get an inheritance and why is planning important. 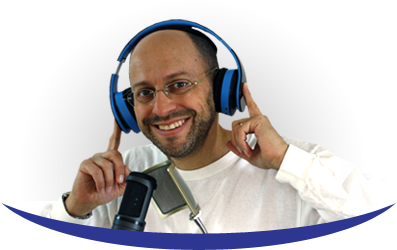 Douglas Goldstein: I am very excited to have on The Goldstein on Gelt Show, Marguerita Cheng. She’s the CEO at Blue Ocean Global Wealth. She’s also very involved in the CFP board; the Certified Financial Planner board. Like me, Rita is a Certified Financial Planner, and she has spent a lot of time trying to teach people about the importance of financial planning. I want to bring that together with something that comes up a lot, which is the question of what to do when you get an inheritance. When a lot of people get an inheritance, the first thing they think about is, “How am I going to invest this money?” I think there’s something else they should be thinking of first, which is how they should plan to deal with the money. How do you talk to people about handling an inheritance? Marguerita Cheng: The first thing that we talk about is that you definitely want to have a plan, and here’s what I mean by that. I always tell everyone that they need to have the time and space to be able to make a decision. We don’t know where and how you should invest, and so we take a look at your current investments, as well as what your goals are. Douglas Goldstein: Time, I understand. What do you mean by space? Marguerita Cheng: We need to make sure that our clients and prospects, and our prospects and clients, have the right time and mind-set to be able to plan and think about what to do. For some people, that may take a year or so, but planning allows them to be able to think into the future. Planning gives people clarity and confidence about the steps they should take. Douglas Goldstein: Being thorough is important. But what does the work really involve? A person comes into the office and says, “Rita, I got a $1 million inheritance. What do I do?” You say, “Well, you’ve got to plan and there’s going to be work involved.” He says, “Well, what work do I have to do?” What work does he have to do? To be honest, when I explain it like that, people are like, “Yes that is work. Would it make sense, Rita?” So in a way, this process self-selects people because people don’t want to do the work, but I still love them. I might not be the best planner for them, and that’s okay. If they really insist on being a stock trader, I always tell them, “Maybe there’s a better place for you because that’s just not our approach.” So I think it goes both ways - planners have to find clients that fit, and clients have to find planners that fit. Marguerita Cheng: The first thing that I tell clients is, “We are not making any investment decisions right now. What we are doing right now is we are assessing your situation. I am assembling all this information; you’re not making a decision whether you’re going to sell stock ABC, or purchase stock XYZ. When we break these things down for clients, they feel more comfortable. Yes, it’s more work, but they can see, “Oh, I never looked at it that way. I can see all my assets. I can see, ‘Oh my goodness, that’s the stock that I inherited.’” It gives them peace of mind. Yes they miss their loved one, but they know that we’re being intentional in the work we’re doing. What’s the First Question Clients Can Ask Their Financial Planner? They say, “Well, what’s your track record?” That’s the first question. I often try to explain to people why that’s not a great first question. What do you think is the best way for someone to start interviewing a planner? What are the important questions? Is asking, “What are your returns?” a really important first question? Marguerita Cheng: Doug, I love that question. I’ve heard people say, “Rita, what’s your track record?” Track record assumes you’re investing everybody’s money the same way, which is extremely misleading because every client is truly unique. I laugh here. I said “Wink, wink.” I said they could pay for their school of choice. I didn’t say I could get them into their school of choice. Douglas Goldstein: Yes. No promises on that front, okay? Marguerita Cheng: And they all laugh. But I don’t think that’s a very good question to ask. I would start out with, “Tell me about your philosophy.” The other thing I would say is, “What type of client do you typically work with?” “How do we pay for your services?” “Do you help us implement your financial plan?” These kinds of questions. Douglas Goldstein: That’s very interesting. I’ve been in the business now about 25 years, and over time it’s developed. All younger planners want to help everybody and they want to do everything. Since I moved to Israel 23 years ago, it turns out that I spend most of my time dealing with people who have expatriated from the United States – they’ve moved to Israel. Generally, these people tend to be retired, or they get an inheritance. The reason why is those are the people who are usually dealing with a big money event, and it’s something that they really have to begin to plan for. I like the question people ask about my philosophy because it gives me a chance to express who I am and what I am doing. If someone asks you, “Rita, what is your philosophy?” how would you describe it? Marguerita Cheng: My philosophy about money management? Or my philosophy about being a planner? I can answer both. What’s interesting is my first job in finance actually was as an analyst. As a result, I have the quantitative skills to pick stocks, but that’s not why people hire me. People hire me because they want clarity about their situation, they want confidence to plan for the future, and they want a sense of control. It’s okay to be a control freak. We want to control what we can control - how we plan, how we invest, how we react to the market. My philosophy is education first. I think it’s very important to separate financial planning advice or personal finance advice from investment advice. That’s my philosophy, and that’s how I answer the question. Douglas Goldstein: I really like that. I like that you point out that people want to control. I also like to control, and there are things we can control that are so important, like our plan, what investments to choose, and how we’re going to react to the market. The most important thing for everyone to realize is that we can neither control nor predict the market itself. Rita, you have so much good information, but unfortunately we’re just about out of time. So in the last few seconds, tell me, how can people follow you and follow your work? Marguerita Cheng: People can visit www.blueoceanglobalwealth.com. They can also find me on LinkedIn, I am Marguerita Cheng. Finally, Twitter @blueoceangw. Douglas Goldstein: Rita Cheng, thanks so much for taking the time.